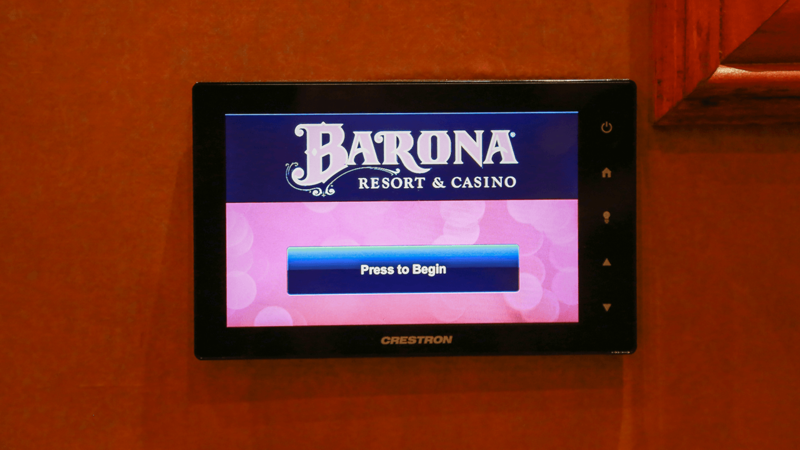 The Barona Casino Meetings & Event Center boast state-of-the-art technology for presentations, conferences and event space type meetings. 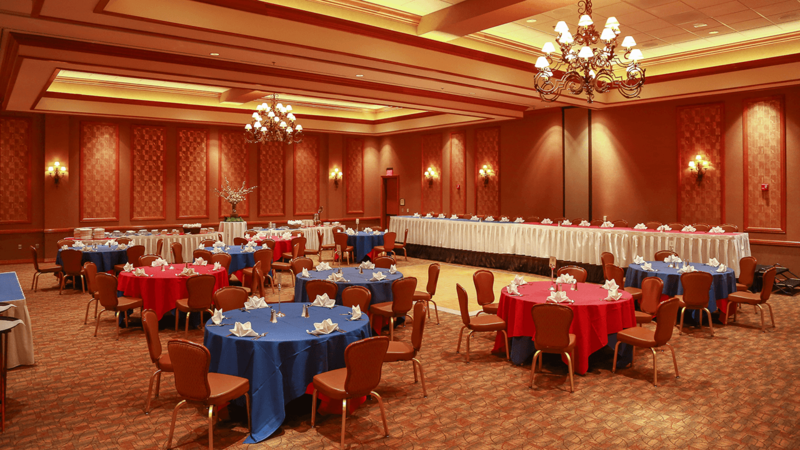 Their versatility of the Event Center can accommodate any event from a small company retreat to a lavish outdoor wedding and reception. 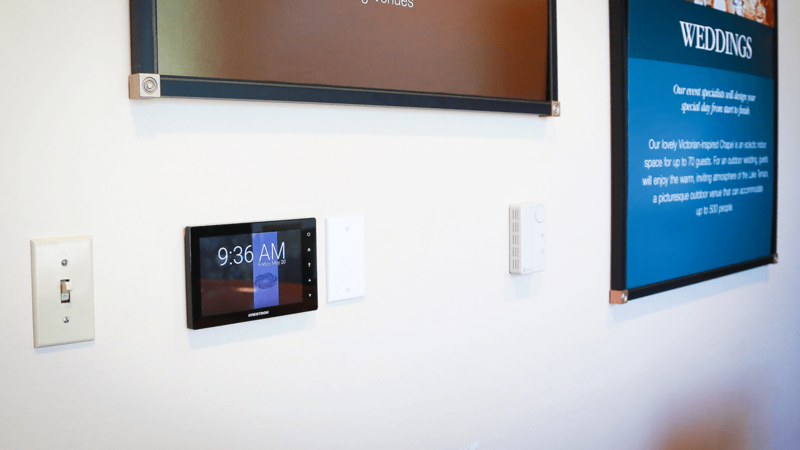 Crestron AV presentation system in conference room. Challenge: The Event Center was looking to refresh their analog controlled Conference Room with a new, state of the art, 21st century AV presentation control system integrating, audio & lighting control system. 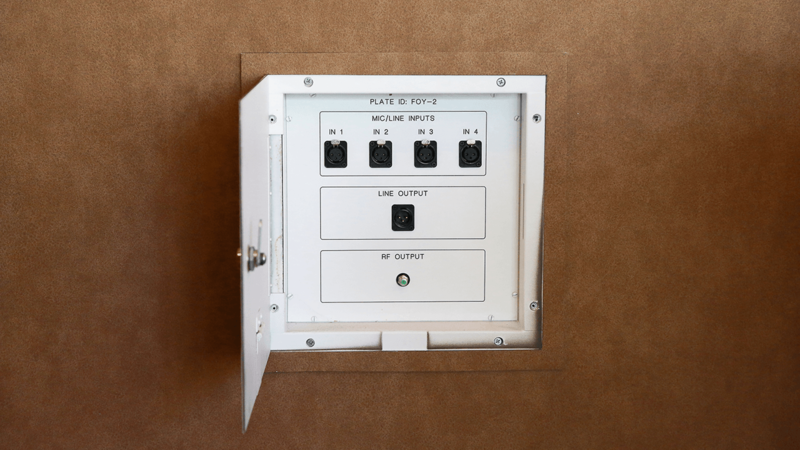 Solution: Crestron Control system with individual 7″ TSW touch screens in each conference room with room combining functionality, BSS digital audio signal processing, Crown DCI series networkable amplifiers, JBL Control 300 series large format ceiling speakers, custom RCI microphone & audio input wall plates.